Home > Resources > Transfer > How to Transfer Contacts between LG and iPhone? It is easy to transfer contacts between two Android phones because you just need to switch the SIM card between the two devices. But it is not that simple to transfer contacts from LG to iPhone, since the SIM cards in the two phones vary in sizes, you cannot just insert LG SIM card on the iPhone to get contacts on it. Many people first upload contacts on LG phone to some accounts, like Gmail, and then sync the account with the iPhone. Well, it works, but it takes too much time and it's not secure. You are highly suggested to use a professional LG to iPhone contacts transfer tool for helping you out. 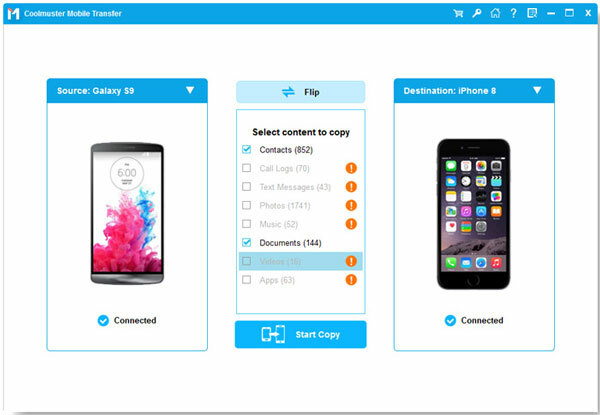 It is named Coolmuster Mobile Transfer, which gives you the easiest way to transfer contacts between LG Optimus/G2/G3/G4 and iPhone 7/7 Plus/6S/6S Plus/6/6 Plus/SE/5S with 1 click, with all the contact information like phone numbers, job titles, company names, email address, etc. preserved. It does not only transfer contacts, but also text messages, music songs, photos, videos, apps, and etc. smoothly and effortlessly. 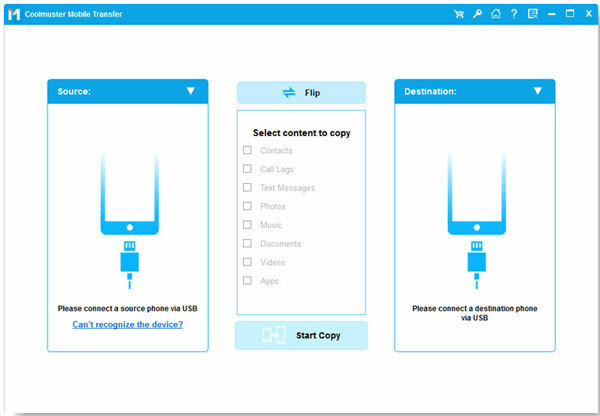 Download this one-click mobile phone transfer tool on the computer. Then, check the step-by-step guide below to know the operation. Here, Let's take the Mac version as a try. The operations in Windows are almost similar. To start with, download and install the LG to iPhone contacts transfer tool - Mobile Transfer on the Mac. Launch it to show the primary window on the computer. Choose the first "Phone to Phone Transfer" mode. Use two USB cables to connect your LG phone and iPhone to the computer. The software will detect the two devices and show them in the program window. All transferable file types are listed on the above. Open the file category of "Contacts" and preview to tick off all the music and songs you want to transfer. Finally, you can give a click on the left or right arrow to start the music transfer.